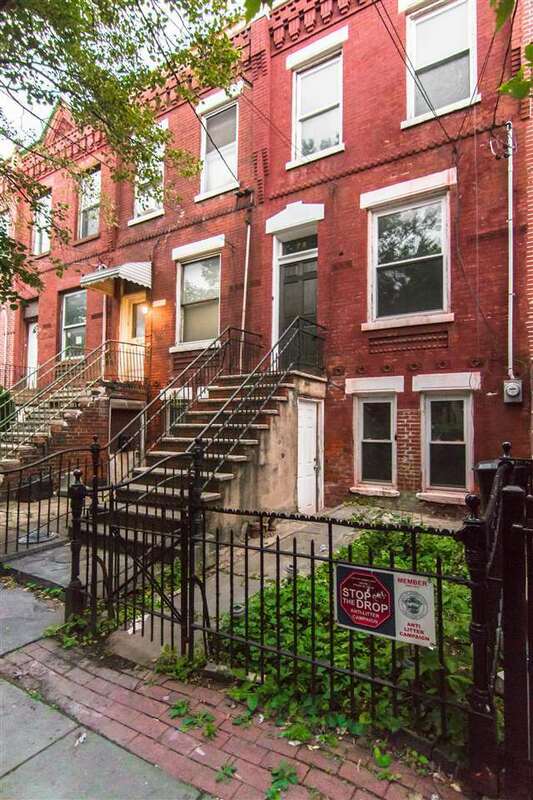 Priced to sell this single family brownstone has so much potential. Tons of supporting value on the block...this home has incredible bones. Original detail is still in place beautiful fireplace, archways, high ceilings and backyard... Here is a chance for an investor, contractor, or owner occupant to bring this Historic Row house back to life. Citi bikes on corner. Bus to Path down the street. Near Cafes, Restaurants and Parks.